The Bandit Series | Welcome to A.P.E. 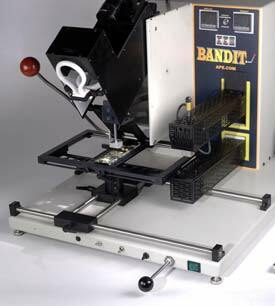 The Bandit (110V) and Sharpshooter (220V) are, simple to operate, Vision Placement rework machines that include a Temperature Profile Controller. 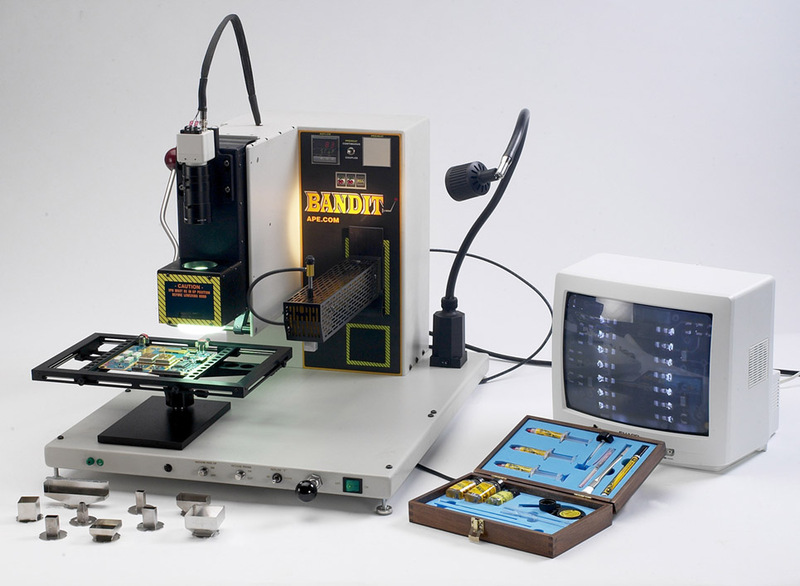 Machines may be configured as a single Top Heater reflow system or with an integrated Bottom Heater. The Bandit series is designed for flexibility and for a budget conscious user not requiring the sophistication of more complex temperature profiling. The system is also available as a Vision Placement system only. XY Table The basic model 7500-1000 is equipped with a free standing 8″ x 12″ Frame Board Holder with a Teflon coated base for easy positioning. 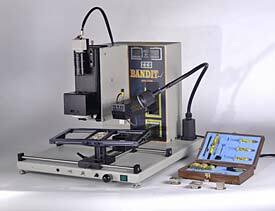 The model 7500-1500 includes the same Frame Board Holder but mounted on linear rails.